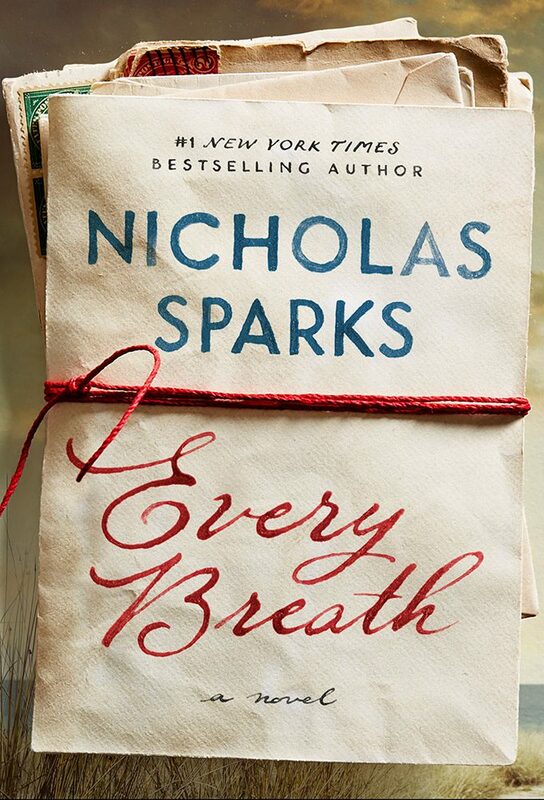 This was my first book by Nicholas Sparks and I fell in love with the characters!!! MY HEART!! I re-read the beginning several times after I finished Hope and Tru’s story because I needed to know more about these characters. This is a wonderfully adult story about a chance meeting that becomes the central event in these two people’s lives. This story spans many decades and will have you sobbing at the end. Sounds unbelievable, right? But the way Sparks creates his characters and the setting, Tru and Hope were at the perfect time in their lives to fall in love with each other. Try is a tour guide from Zimbabwe who has traveled to North Carolina at the invitation of his biological father. Tru grew up with a stepfather he never really liked and a grandfather he feared. Tru has a young son but but is curious to learn more about his mother from the man who loved her many years ago. As fate (or destiny) would have it, he meets Hope on the beach on his first morning in America. She’s only visiting for the weekend to attend her friend’s wedding. She’s staying in her family’s beach-front cottage and preparing it for the new owners. Hope is at a crossroads in her life: her boyfriend of several years has gone off to Las Vegas after they had a fight, and he’s made no move towards marriage or even a commitment to her. Tru is drawn to everything Hope has to say and finds her to be a stunning beauty. They both are intensely attracted to each other and spend a beautiful and idyllic several days together. But will they stay together, or will Hope chose her old life and her boyfriend Josh? Will Tru abandon his home in Africa and come to America, for a woman he just met? Both Tru and Hope have enormous family obligations and yes, time passes and events separate them. But they never forgot that time they spent together in Sunset Beach. Nicholas Sparks is a fantastic writer, creating heartbreaking characters and events but without any false sentimentality. I LOVED this book and could not put it down! Central to this story is the real-life “Kindred Spirit”, a mailbox on a lone beach in North Carolina where hundreds of people have placed letters about love, hope, despair…in the hopes that perhaps one day the intended recipient would see them. Or sometimes they are just letters that need to be written. I love the premise of this adult romance and I was hooked on Hope and Tru’s story from the very first page. 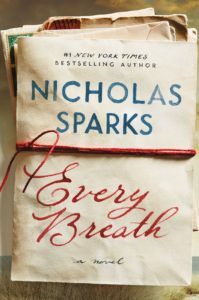 Although this is at times a heartbreaking story, ‘Every Breath’ is ultimately filled with love and hope. I loved taking the journey with Hope and Tru and will treasure this book always. 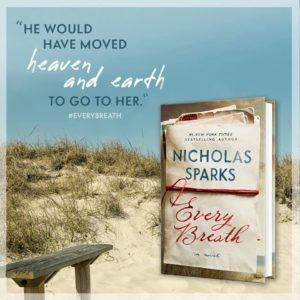 We’re thrilled to be partnering up with Grand Central Publishing to offer TWO paperback copies of Nicholas Sparks’ novel, EVERY BREATH, releasing on October 16th! Read about the book and scroll down for the Rafflecopter giveaway below. Available everywhere October 16, 2018. 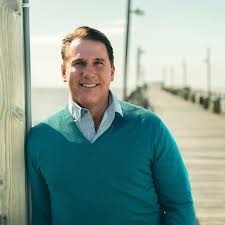 With over 100 million copies of his books sold, Nicholas Sparks is one of the world’s most beloved storytellers. His novels include fourteen #1 New York Timesbestsellers, and all of his books, including Three Weeks with My Brother, the memoir he wrote with his brother, Micah, have been New York Times and international bestsellers, and were translated into more than fifty languages. Eleven of Nicholas Sparks’s novels — The Choice, The Longest Ride, The Best of Me, Safe Haven, The Lucky One, The Last Song, Dear John, Nights in Rodanthe, The Notebook, A Walk to Remember, and Message in a Bottle–have been adapted into major motion pictures. Available everywhere October 04, 2016.